One of the hardest things I ever did, other than taking the LSAT twice, was make the decision to take the LSAT. Registering and paying the fee was probably more difficult than taking the test. 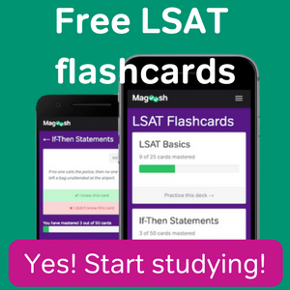 Once you sign up for the LSAT, you cross a threshold. With that in mind, plan carefully and make sure you’ll have enough time to prepare for the exam before your test date. And don’t miss those LSAT registration deadlines! If you haven’t registered for this exam, unfortunately you’re too late. The registration deadlines passed a couple of weeks ago (late April). 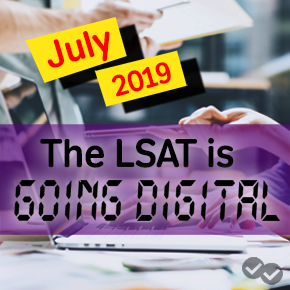 Consider the September exam instead, which gives you a few extra months to prepare for the LSAT and still doesn’t negatively impact your application timeline. The date of this exam is technically still subject to change, and the registration dates have yet to be posted. Don’t worry, though. Come the middle of May, all the dates will be updated and registration will begin. For more information on pricing, check out our handy-dandy LSAT price article. Just so you know, if you decide to register late for the exam, you’re going to be paying an additional $90.00. So, choose wisely. Remember, while some law schools require that you take the December LSAT at the latest, that’s not always the case. I took the February LSAT a few years back, and still got into the law school I wanted. The most important thing you can do is pick a date that you’re comfortable with. You don’t want it to be so far out that it makes you put off studying. The last thing you need is for the procrastination bug to kick in. It’s a tough bug to cure fore sure. However, you probably also don’t want to just up and register for a test that’s so close you don’ t give yourself enough time to study. That’s an equally poor choice, and a great recipe for some super stressful times. Trust me when I say that life is going to be stressful enough without you adding a bunch to your plate. If it were up to me, I would recommend registering for the LSAT with two to three months of solid studying time. That way, you’ll hopefully light enough of a fire under your backside to get motivated, but you won’t kill yourself by over-studying. Believe me, it can happen, and when it does, nobody wins.